This pair of earrings is very simple. It is set in a combination of 14kt Gold and .925 Sterling Silver with naturally carved Black Onyx and Pave Diamonds. 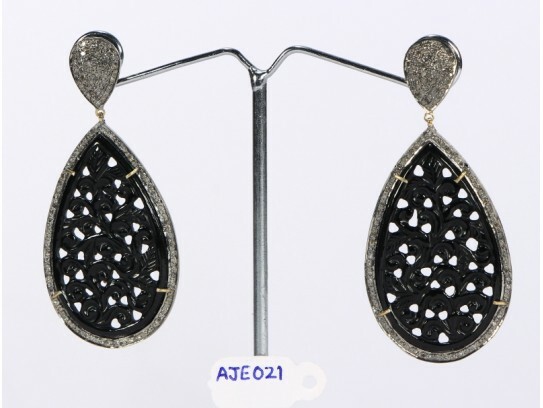 The Black Onyx and Diamonds are set in Sterling Silver and the post and back of the earrings are set in 14kt Gold. The carving is all hand done very intricately. 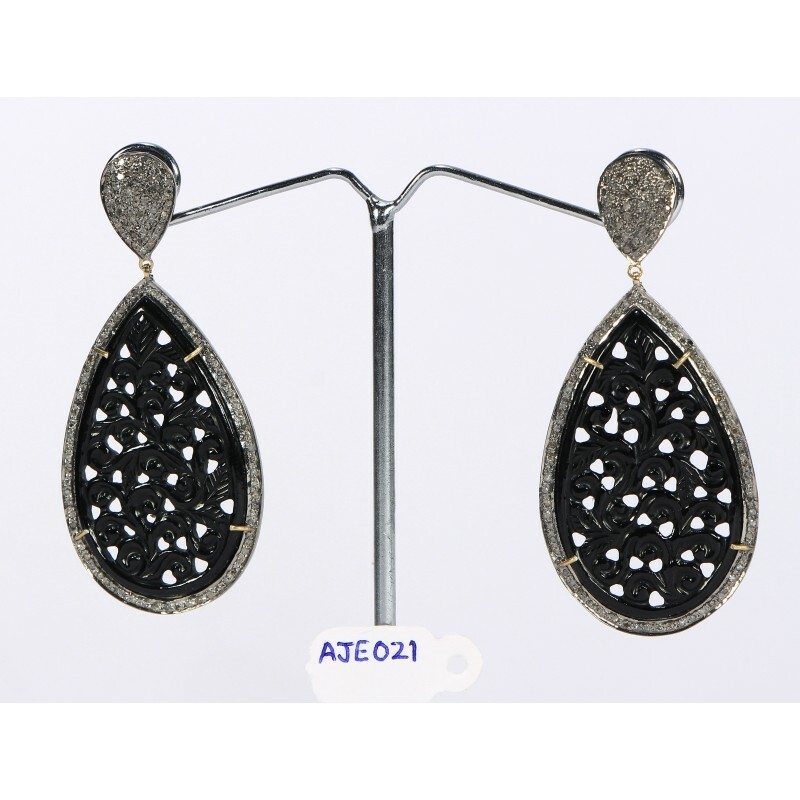 The earrings are drop shape with the pave diamond top part also created in a drop shape. The stones are all natural and have a rough organic look, thus enhancing the beauty of the piece.